Over 300 hours of tennis drills are available during the 2013-14 Fall / Winter indoor season! STPC has over 300 hours of drills available Monday - Friday, from September - April, for $7 / lesson. For your convenience, drill locations are available across the Twin Cities metro area! Ask a Friend to Join STPC Today! If you know anyone who might benefit from getting involved with the STPC, invite them to become a member! 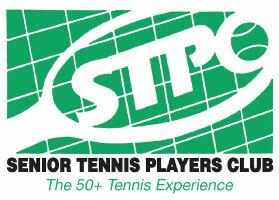 For every new member you recruit, STPC will give you one free lesson. Thanks for helping spread the word about STPC! Just enclose a note with the friend’s New Member Application saying that you recruited this person. We’ll email you a certificate good for a free lesson. Low-cost indoor lessons are offered as part of your STPC membership! These lessons are taught by STPC teaching professionals and cost $7 each. Offerings are available Monday - Friday, from September - April. View Lesson Schedule. Sign Up: None required, drop-in lessons. Enjoy 2 hours of tennis at a great facility! Courts will be available for 2.5, 3.0, 3.5 and 4.0 players. More details. 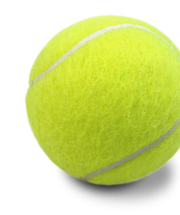 Play tennis 5 days a week with no court fees! Offer improved to allow unlimited play Monday-Friday 7-9 AM and 2-4 PM. Includes all Onyx level services at Life Time Fitness White Bear Lake and a free weekly drill (Monday 2:00-3:30pm). No initiation fees. More details. Play tennis 6 days with no court fees! Includes a full membership to Life Time Fitness Bloomington South and 2 free weekly drills—Tuesday (9:00-10:30am) and Friday (8:00-9:30am). No initiation fees. More details.